Head of Interpretation Stuart Frost explains how his team collaborates with colleagues across the organisation to help develop new permanent exhibits and temporary special exhibitions. Inside the BP exhibition Sunken cities: Egypt's lost worlds. What is ‘interpretation’? Broadly speaking, it is anything that help visitors make sense of the Museum and its collection. 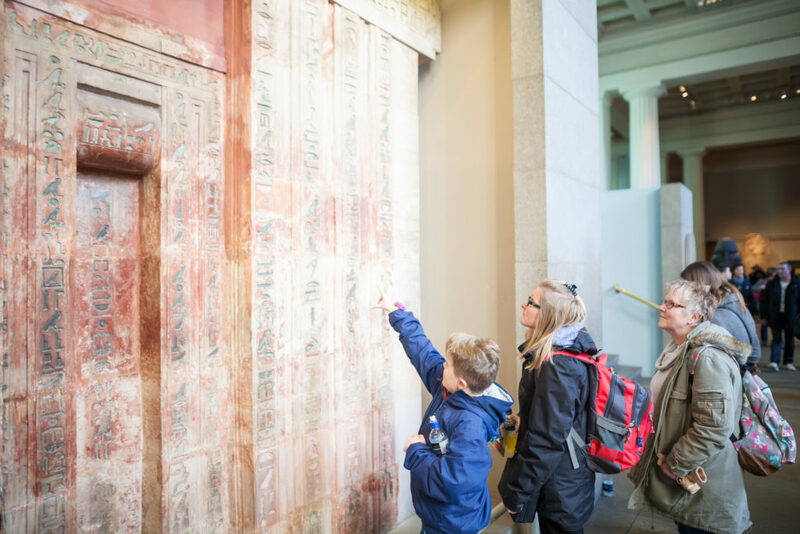 Visitors in the Egyptian Sculpture Gallery (Room 4). It is not about providing information that visitors passively absorb, but more about encouraging visitors to actively engage, to look closer at objects and to reveal something relevant that they might otherwise have missed. Developing effective interpretation requires detailed knowledge about visitors. We’ve been undertaking rigorous evaluation regularly since 2005 and we have rich invaluable archive of data that informs our work. We regularly undertake evaluation for our major special exhibitions. Front-end evaluation is used to establish visitors’ prior knowledge about a subject and their expectations of a new exhibition. When exhibition plans are more advanced we will then test these qualitatively – visitor feedback obtained through this formative evaluation is used to make iterative improvements. Finally, after an exhibition has opened, we undertake summative evaluation to establish how successful an individual project has been in meeting its objectives, and to inform the development of future displays. Evaluation of special exhibitions with an admission charge has confirmed that they attract a very different audience to the free permanent galleries. Special exhibition visitors are usually highly motivated and will look at most of the show. The typical dwell time for a major special exhibition is between 75 and 90 minutes, much higher than a free permanent gallery where the dwell time is often much less. Special exhibitions therefore need bespoke approaches to interpretation. 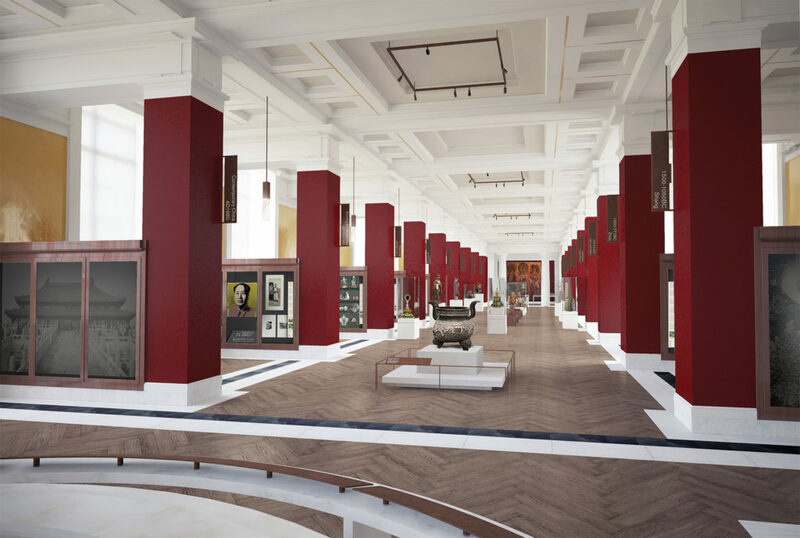 Evaluation at the British Museum has transformed the way we develop new permanent galleries. Room 3 is currently used for temporary displays focused on a single object from the collection, The Asahi Shimbun Displays. This space provides an opportunity for the Museum to experiment with new approaches to design and interpretation. The Jericho Skull on display in Room 3. Evaluation of previous Asahi Shimbun Displays established some important findings. Firstly, most visitors are drawn to objects first, before looking for the interpretation. Secondly, visitors tend to ignore wall panels or other interpretive texts unless they are in direct proximity to the object that attracts their attention. Thirdly, in free displays most visitors exhibit selective browsing behaviour, rather than thorough sequential viewing. These observations inform our current interpretive philosophy. As there are over 80 galleries to explore, and the average length of visit to the Museum as whole is just over two and a quarter hours, it is not surprising that the average length of visit to any one gallery is often low. Most of our audience consists of first-time visitors. Some of the older rooms at the Museum contain more objects than any first-time visitor could be expected to deal with in a single visit. As a result we now tend to structure new permanent displays around 20–30 particularly important ‘gateway’ objects, significant objects in the collection that lead into bigger themes. The interpretation is always in a clear and direct relationship with the object, and starts with what the visitor can see, building outwards to tell an overarching story. 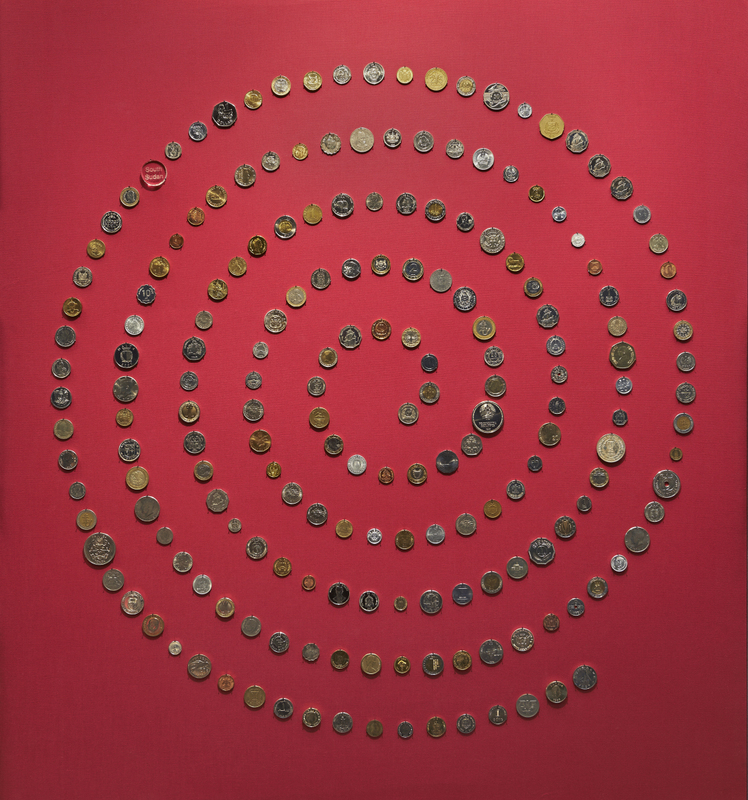 Coins from all nations of the world arranged in a spiral to create a visually appealing display (Room 68). Evaluation tells us that this gateway group of objects is successful at attracting visitors’ attention. 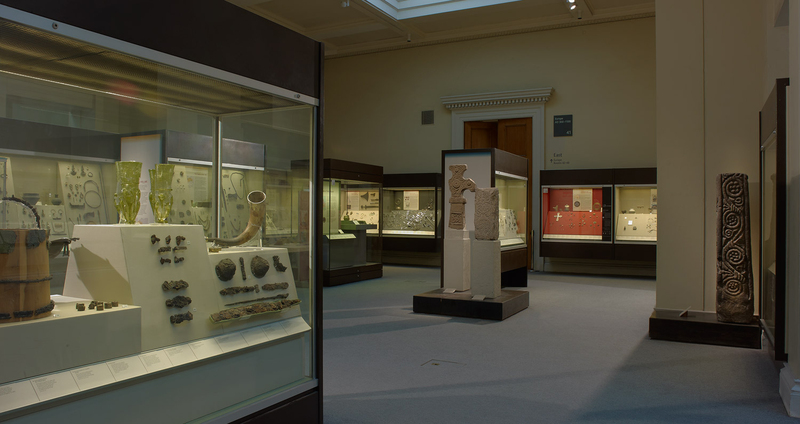 We have used gateway objects in numerous displays since 2006, and the evaluation of each display indicates that the approach deepens engagement – visitors stay for longer and look at more objects. The introduction of gateways in the refurbished Citi Money Gallery (Room 68), for example, contributed to increased dwell time, and an increased number of stops made by visitors. The Sir Paul and Lady Ruddock Gallery of Sutton Hoo and Europe AD 300–1100 (Room 41) opened in 2014 – it’s one of the Museum’s most recent galleries. 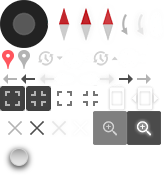 An evaluation of the old display was particularly influential in shaping the current display. The results confirmed that the attracting power of the old displays was disappointing. The few objects that visitors did stop at did not hold their attention for very long, or deliver the stories we wanted to tell. The one exception was a case containing the helmet and shield of an Anglo-Saxon warrior, found in a ship burial at Sutton Hoo (in Suffolk) dating from the early AD 600s. The Sutton Hoo ship burial was one of the most important archaeological discoveries of the 20th century – the helmet enjoys an almost iconic status in the UK. 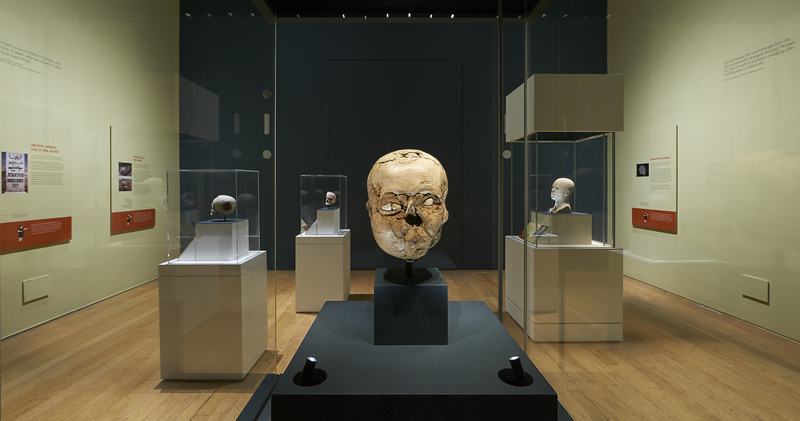 The popularity of this single case encouraged the project team to move all of the Sutton Hoo objects from their location on the periphery of the old gallery to the physical and conceptual heart of the new gallery. The new display in Room 41. The new interpretation of the Sutton Hoo material was designed to provide visitors with an introduction to the gallery as a whole, explaining some of the key features of the early medieval period. An evaluation of the new current gallery confirms that this approach works well. The vast majority of visitors now come face to face with the Sutton Hoo helmet – one of the highlights of the Museum’s collection – and engage with the interpretation of this central display. Evaluation almost always reveals lessons that can be applied to future projects. Each completed project informs those that come after. We are currently focused on three major gallery projects, all of which are structured around the gateway object concept. An artist’s impression of how Room 33 will look after refurbishment. The Sir Joseph Hotung Gallery of China and South Asia (Room 33) will reopen in November 2017, the Mitsubishi Corporation Japanese Galleries (Rooms 92–94) will be refurbished in 2018, and the new Albukhary Foundation Galleries of the Islamic world will open towards the end of 2018. With new interpretive approaches, and new digital technology to enhance visitors’ experiences, there are exciting times ahead. You can view a selection of the Museum’s evaluation reports here.